Autonomous cars are expected to shake up the property/casualty marketplace, as private car insurance premiums fall and cyber insurance measures in. Across the world, the auto industry is beginning to shift towards self-driving car technology and many cities are preparing for the impacts that this technological evolution. Let’s look at the impact of autonomous cars on the insurance industry. Not only will autonomous cars make commuting easier for individuals, but it will also have a bearing on the future of real estate, city growth, and significant implications for the future of the auto industry. As motorists look ahead to a future of eating, reading and watching films while being hauled to destinations, insurance carriers are grappling with large changes related to the new technologies. How will Driverless Cars Impact on The Auto Insurance Industry? As autonomous cars continue to become a reality, so does the issue of how to cover the vehicle and its owner. Laws have always lagged behind technological innovation and adoption, and the same goes for autonomous cars. Many questions are unanswered about how lawmakers and city officials will regulate autonomous cars on city roads in a way that ensure public safety but also does not hinder technological innovation. The car insurance industry faces upheaval at another 25 years since the migration into autonomous security features and finally a self-driving automobile. Evolving technology in the auto industry is going to impact how city roads are used and the safety of vehicles on the road with pedestrians. Some injuries are expected to fall sharply as more autonomous cars are driven on the roads because now more than 90 per cent of accidents are due to human error. This reduced risk of driving will impact insurance premiums while also lowering the bar that many potential drivers face when wanting to get insured. Insurance companies will need to consider how they message their services while also adjusting their Internet marketing strategy to explain implications to their customers while also abiding by strict industry guidelines. The Legal Implications: Who Is Liable In A Crash Involving An Autonomous Car? Many technological thought leaders and automakers anticipate that autonomous cars will make our public roads much safer compared to human-driven vehicles. However, no one can argue that accidents won’t occur, and the real question about auto insurance in the age of self-driving technology is who is liable in a situation involving a self-driving car? The insurance industry and policymakers are working to figure out the details of damages and even death in situations when an autonomous car is driving on the roads. Will the passengers of the vehicle to be held liable in a crash even when they are not actively engaging the car, or will the automaker be held responsible? Until now, automakers such as Tesla have been cautious to avoid accountability through explicit motorist opt-ins, “beta” tags and conditions of service arrangements. This has been demonstrated to be a smart option, as individuals relying entirely on their driving applications have died because of this. This approach removes liability from current-day automakers, but future self-driving cars will not require user input and will market their vehicles as fully autonomous. While many agree that the future of the auto industry is in autonomous technology, there is still the human element for this change. Coding of technologies: Today’s autonomous technology is in its infancy. In fact, the self-driving code is often inefficient because coders are learning better practices to follow. To have autonomous technology fully integrated, we will need to improve the security and efficiency of the code self-driving cars are built on. Ability & Accessibility: While conventional producers have vehicles that are increasingly becoming autonomous, higher technology companies like Google, Tesla, and Volvo are probably going to leapfrog into cars that are flying. Local & Federal policies: As of this year, sixteen states (such as the District of Columbia) have introduced bills associated with self-driving vehicles. The NHTSA is on the brink of offering a complete endorsement of autonomous vehicles, and that will have a substantial impact on the ability for autonomous technology to expand and be adopted. Infrastructure availability: At the moment autonomous vehicles have the potential to use current roads with no upfront investment needed. Overtime nevertheless, roads will probably evolve to adapt autonomous vehicles better, and one aspect will be integrating IoT devices into modern roadway safety equipment to ensure construction zones and driving environments are as safe as possible. Legal liability: As the automobile gets more advanced discovering who is responsible for an accident has to be clarified. The regulations will have to be solved in parallel along with autonomous technologies development. 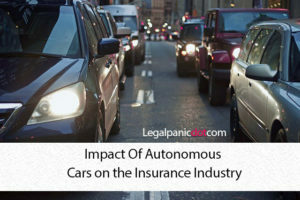 Insurance industries will likely try to influence the political and legal implications of autonomous cars to ensure their industry remains relevant in the years to come. Consumer adoption: When customers understand the benefits of self-love driving vehicles, they are more inclined to utilize them. The largest challenge for automakers is covering the value of autonomous vehicles compared to modern day vehicles. Mobility solutions: Now that ride-hailing is a common alternative for urban motorists, this new version of automobile usage will continue over to autonomous vehicles. Information management: Autonomous driving calls for a substantial number of data which will grow exponentially because these vehicles attain popularity. The legal and political landscape is quickly shaping around the vision of autonomous vehicles dominating our roadways. Not only do we need to consider public safety, but lawmakers also need to think about how their decisions will impact city growth and industries like auto insurance. While there are many unanswered questions, the future looks bright for autonomous car technology. Auto insurers will need to work with automakers to provide coverage and reduce legal liability as more autonomous cars drive in our cities and towns! Chris is a Digital Media Strategy Consultant. He has helped small business owners and CEOs grow their business with SEO and PPC Management Services. He is passionate about digital marketing, technology, and transportation issues.